Gantsilyo Guru: I'm Calling It a Bed Throw. Here's a Peek! I'm Calling It a Bed Throw. Here's a Peek! Just a peek of the reverse side :) I will only be able to share the entire spread, in all its crocheted glory, when I have given it already to the owner. It's almost time to say goodbye to this project! Woven hand made bed throws ... seems great. That was really a hard task. It takes so much time to made small piece of woven cloth but bed throw is very big. Really awesome work. Raffle for the Crochet Workshop at Craft MNL! 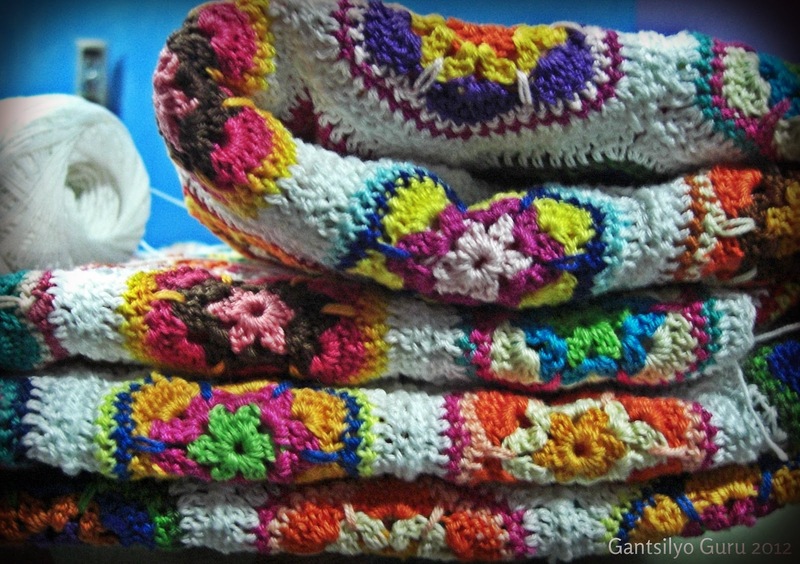 Coming Out of the "Crochet Closet"